I am amazed at the amount of creative food art you can find on Pinterest. As a mother of three, I don’t really have much time to cut, chop and create works of art, all while the kids are complaining how hungry they are! 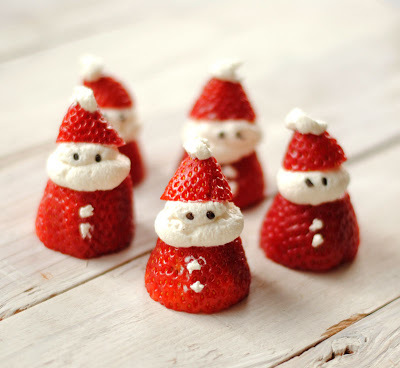 But for the special occasion, I love making the effort to surprise them with some cute food. Imagine waking up to it on your birthday or finding it in your lunch box. I have only posted food ideas that I think are simple, easy and something I could achieve myself as a busy mum. 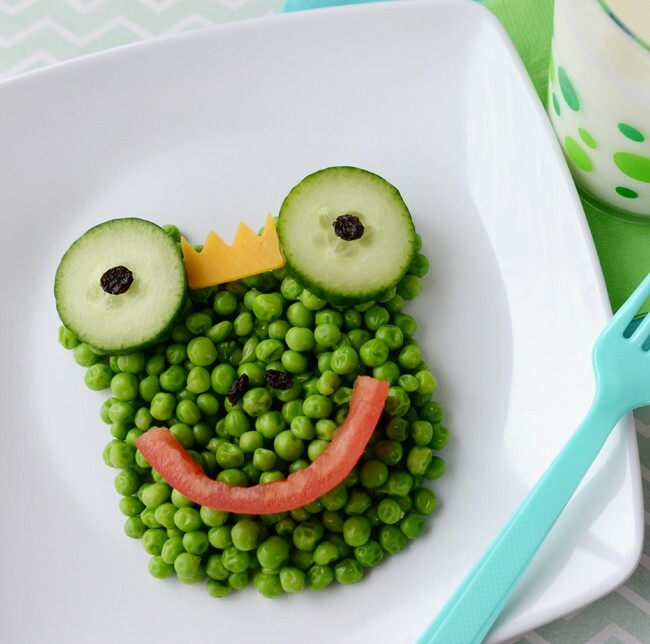 I hope you enjoy and feel inspired to surprise your kids with some delicious looking food! For the summer fruit loving kid (and adult!) 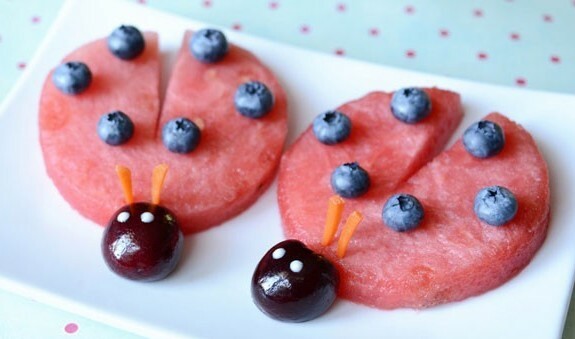 this lady beetle made from watermelon just looks so delicious! 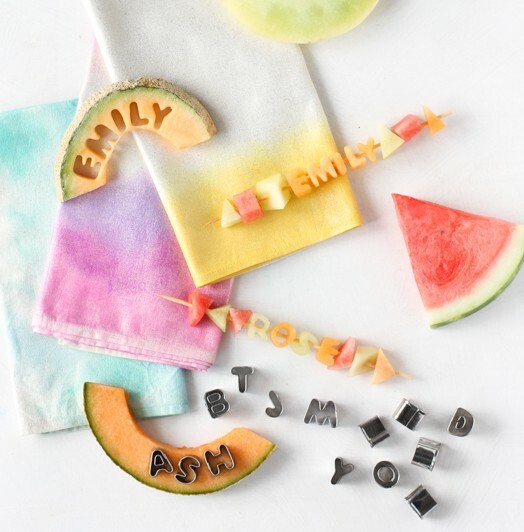 How clever using alphabet biscuit cutters to cut letters out of fruit to make a personalized fruit kebab. These sandwich kebabs are a great alternative to a plain sandwich and the novelty of it might please a fussy eater. Do you have a Little Hungry Caterpillar fan in your house. 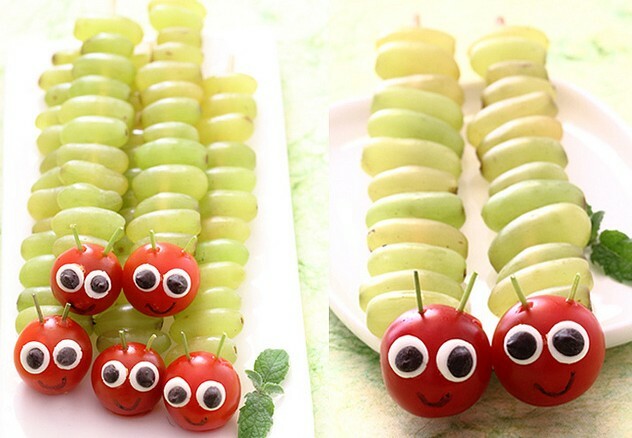 Delight them with this Hungry Caterpillar fruit stick and watch them gobble it up! 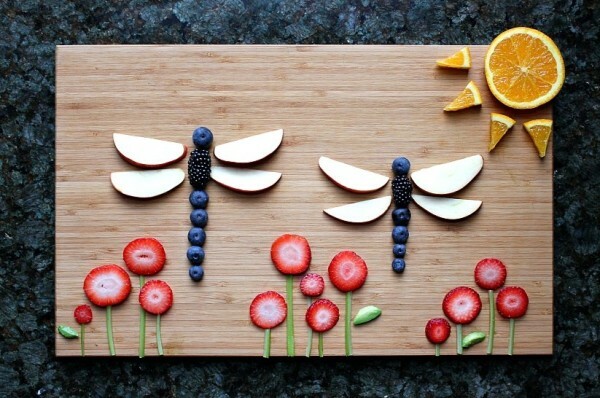 How pretty is this dragonfly garden scene! I love the vibrant colours of the strawberries with the blueberries. Aww, isn’t this so sweet? 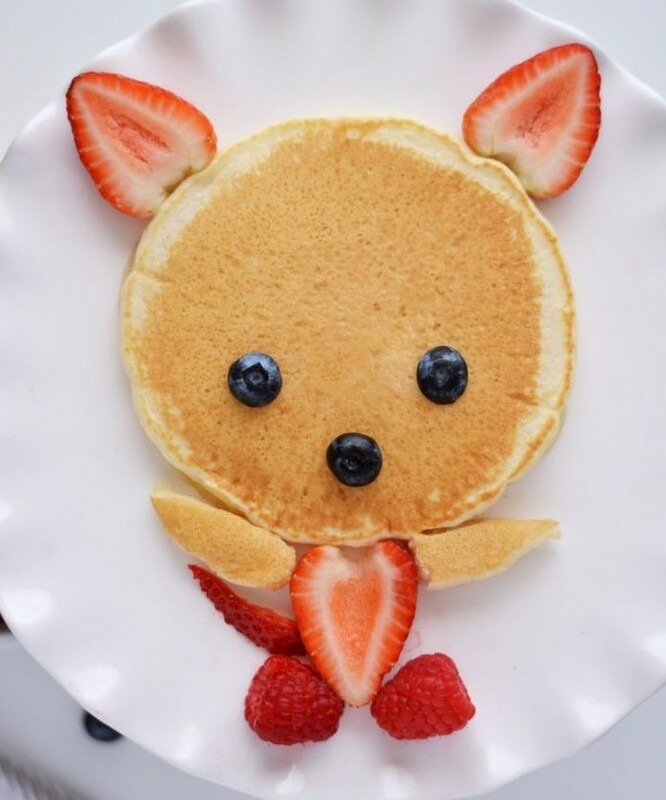 Next time you make pancakes, make this cute fox and I’m sure your little one will be delighted. Take an adventure under water and recreate these three fishes. Tell your child to pretend that they are a hungry shark! Are there any pea lovers out there? This frog prince might delight them. 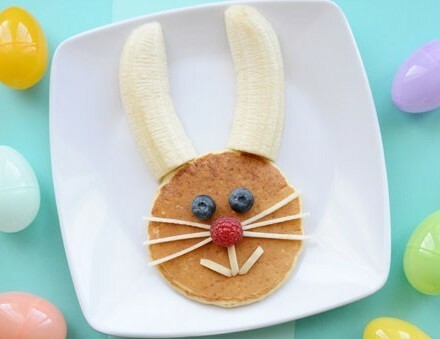 Will this bunny become a traditional Easter breakfast in your household? I love how cute and simple this idea is! 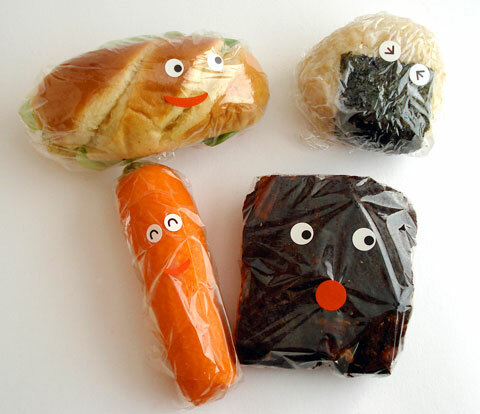 Can you imagine the smiles on your child’s face when they open up their lunch box to find these cartoon characters? 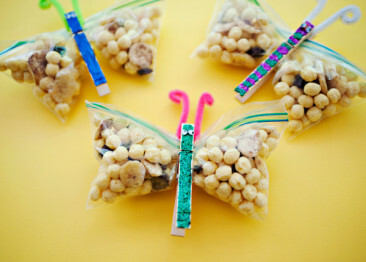 I can imagine lots of little girls will love this butterfly snack idea. You can even do it together as a craft item one afternoon. Decorate some wooden pegs, style antennas with pipe cleaners and clip onto a ziplock bag. I never thought that toast could be so fun! 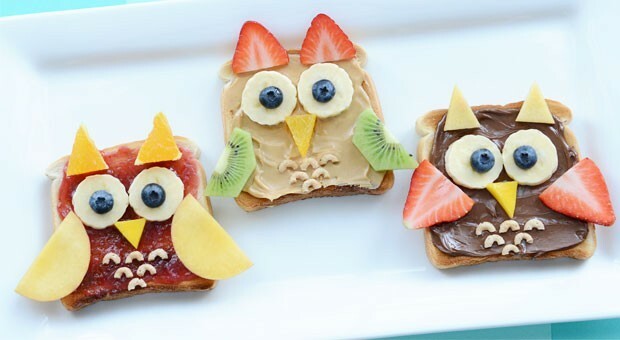 I love that I have all the items I need in my fridge and pantry to make these owl toast. Something I look forward to doing this weekend for the kids! 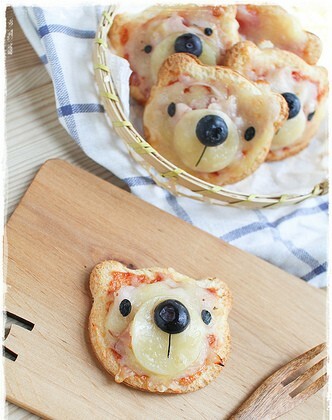 How gorgeous is this bear pizza. Use a shape or sandwich cutter to cut the shape out of bread. Make your pizza as you would and place a round cheese nose and details on the face. Simple! 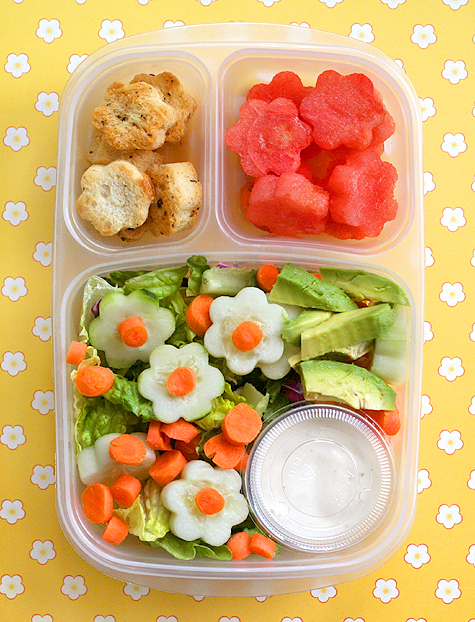 Using only one cookie cutter, you can repeat the shapes with different items in their lunchbox. This flower themed lunch would make a lovely surprise for anyone! 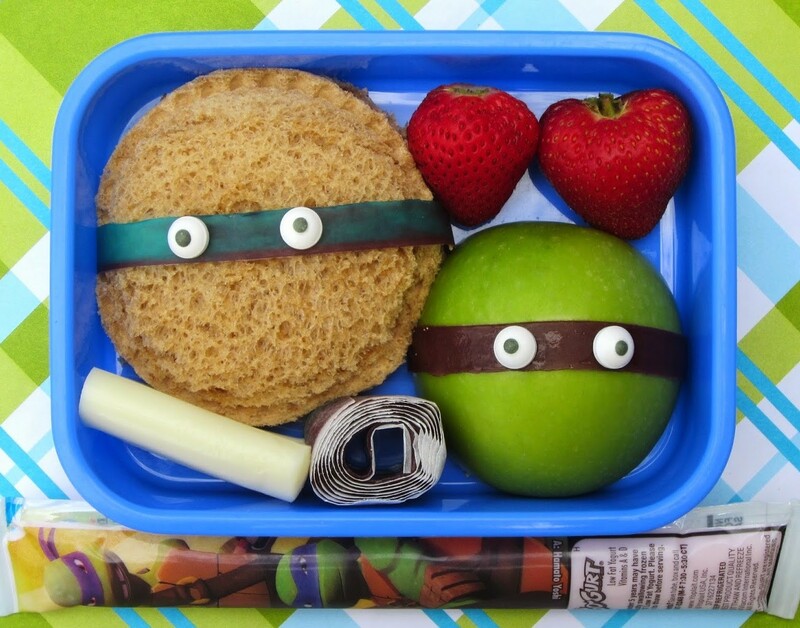 Does your little one love Teenage Mutant Ninja Turtles? Use strips of fruit roll up for the mask and add some eyes. If you can’t get hold of of candy eyes, you can use mini marshmallows cut in half with a sultana. 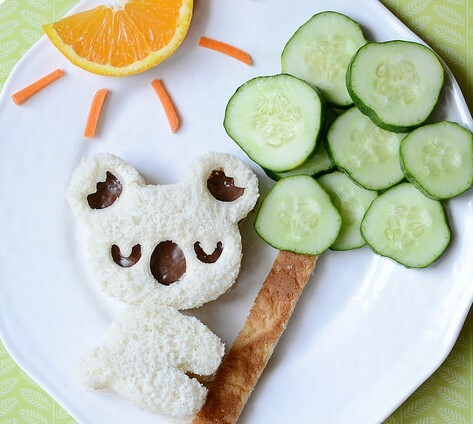 I have seen lots of cute Japanese bento box accessories you can buy online or in asian shops and they have lots of interesting sandwich cutters like this koala one. 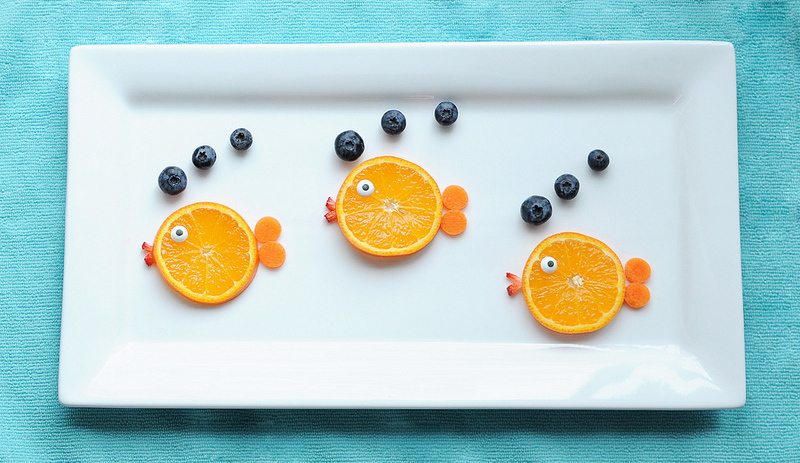 If you love food art, invest in some to bring delight to your kids! Have you loved these ideas as much as I have? 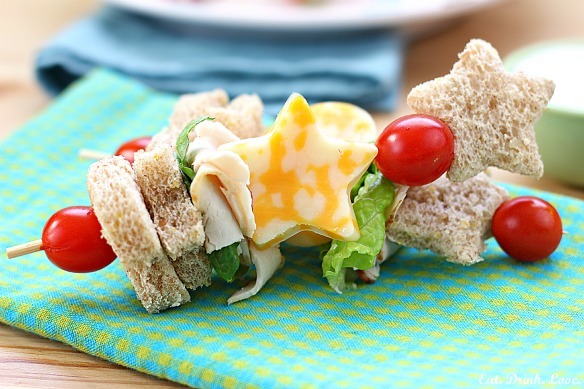 Post your cute food and lunch box ideas and share with us what fun and creative things you have come up with!